14 is a composite number. 14 = 1 x 14 or 2 x 7. 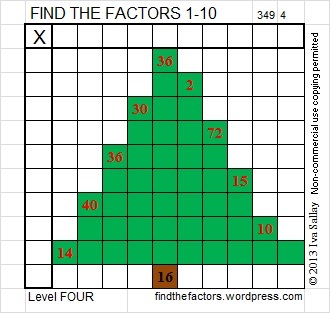 Factors of 14: 1, 2, 7, 14. Prime factorization: 14 = 2 x 7. 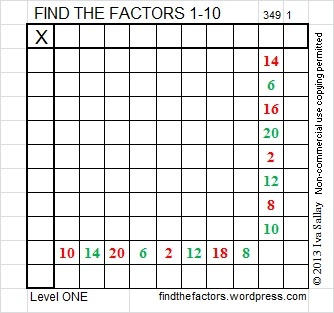 When 14 is a clue in the FIND THE FACTORS 1 – 10 or 1 – 12 puzzles, use 2 and 7 as the factors. 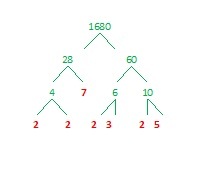 Do Christmas factor trees have lovely branches? It depends on how they are constructed. 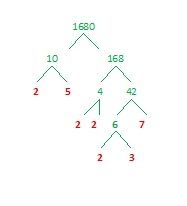 For example here are 2 of the many possible factor trees for 1680. I think one of them is more lovely than the other. 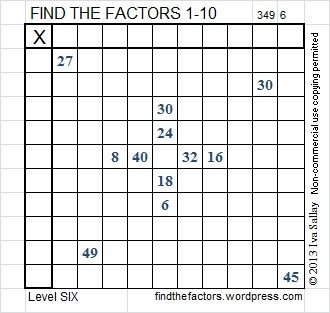 This blog is actually about a logic puzzle that is based on the multiplication table. Today we have puzzles that look like Christmas trees, garland, lights, or blocks and a bright star for the very top. 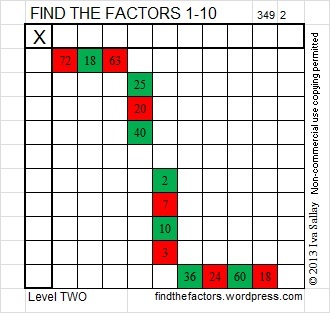 Directions to solve the puzzles: In both the top row and the first column place the numbers 1 – 10 so that they are factors of the given clues. 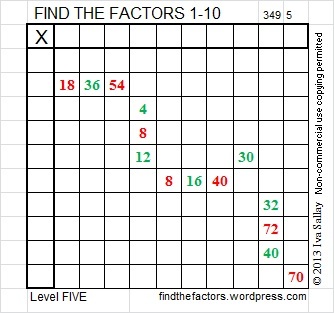 It may be more challenging than you think, especially for the higher level puzzles. 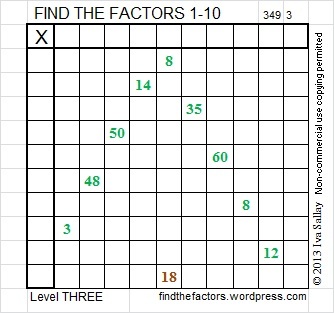 If you click 10 Factors 2013-12-09, you can print the puzzles in color or black and white from an excel spreadsheet or you can type the answers directly on the spreadsheet. You must have a spreadsheet program on your device to access the file.